More often than not, there is a myth in the developer community that Microsoft SQL Server does not provide the debugging abilities that other IDEs provide. Even SQL Server 2000 provided basic debugging ability. 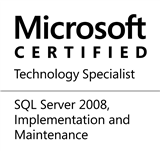 Starting Microsoft SQL Server 2005, the product now comes with it’s own Management Studio, which is based upon Microsoft’s renowned IDE – the Visual Studio. Therefore, the most common debugging abilities come out of the box for SQL Server – enough to give application developers a run for their money! The upcoming, SQL Server 2012 takes debugging a step further – bringing conditional breakpoints, data-tips and what have you. Let’s have a look at some of the basic debugging options that are available to us in SSMS. Which objects can be debugged? The way to debug any of these objects is same as Visual Studio. We will keep things simple for this session, and raise the bar as we go along. I like to think of it as a very light-weight version of the Watch window. When debugging, almost any troubleshooter likes to be in full control – knowing exactly what is going on where. If a variable changes it’s value, it might be important because it may not be warranted and might produce incorrect results. Data Tips help us in being “aware” about our surroundings, and at times, in controlling the flow of execution. Please note that to the best of my knowledge, Data Tips are available in all the flavours of Visual Studio 2010. We have not one, but 3 distinct options to clear out the data-tips on a Microsoft SQL Server Query Editor window. It’s time to practice! The practice exercises for the T-SQL debugger need some setup time, but are simple and easy. Define a breakpoint within the trigger. Notice that the breakpoint window displays a long number instead of the trigger/object/script name. What is this number? This entry was posted in #SQLServer, Blog, Imported from BeyondRelational and tagged #SQLServer on January 23, 2012 by nakulvachhrajani.